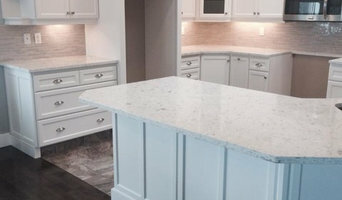 Superior Interiors Kelowna specializes in custom professional furniture and cabinet refinishing and building services. We have created our own chalky furniture paint line Superior Paint Co. that is SUPERIOR to all chalk like furniture paints out on the market today! We believe on working with everyone's budget which is why we offer DIY Shabby to Chic workshops! If you cannot afford our services or you want to learn how to DIY we can teach you hands on how to update and renew your existing furniture with our Superior Paint Co. products! Re-upholstery/upholstery repair includes redoing/outfitting items like chairs and sofas with springs, padding and fabric coverings. This can also include adding fringe, piping, tufting or additional decorative elements to a furniture piece. They can also advise you about the pros and cons of different fabrics so you can choose the best type for the project in your Summerland home. Find Summerland furniture repair professionals on Houzz. 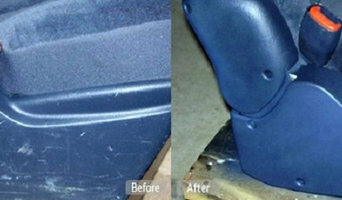 Narrow your search in the Professionals section of the website to Summerland, BC furniture repair.